In this day and age, relaxation is a huge part of self-care. An overall health and wellness plan no longer just consists of diet and exercise, but mindfulness, stress relief and even more emotionally-focused aspects like therapy and meditation. For the body to be working at its best level, each part of the body must also be working at its best level. One of the ways society has really stepped up to provide this is by the gym and spa model of fitness centers. This means that not only can you work out at the facility, but you can also access spa services, often included in your membership or for a much more discounted rate. Because people are so busy and stressed most of the time, this is a great model that helps to encourage more gym memberships which, in turn, encourages people to invest in their own health and wellness. Sauna- Saunas are a great way to remove toxins from the body, promote sweating and help clear the lungs. Many people say that with regular use, saunas can decrease muscle soreness, improve skin condition and elasticity and even help with respiratory issues. Hot tub- Who doesn’t love a hot tub? A soak in a hot tub post workout can be super soothing and relaxing to the muscles. This can decrease soreness the next day and help you prep for you next workout. Another great thing about hot tubs is that they are very calming as well. It is a great place to wind down after a long day and proves to be good for your overall mental clarity and wellness. 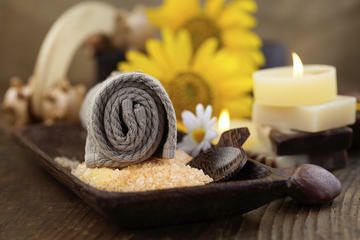 Massage- Massages are perhaps the best way to provide wellness to both the mind and body. Deep tissue massages release tension in the muscles, help with soreness and can stimulate blood cells in the tissue which can help with overall recovery. In addition, massages help with headaches, stress, tension and more, all of which can contribute to poor mental health, bad workouts and poor health in general. Facials and skin care- Because people sweat at gyms, it is easy for them to get clogged pores, acne and more. To combat this, facials at Matrix Fitness and Spa can provide soothing skin care treatments to help clear breakouts, nourish the skin and boost confidence. Waxing- The more fit people get, the more likely they are to gain confidence. This might mean that as swimsuit season rolls around, waxing becomes more popular. Spas can help remove unsightly hair from all parts of the body like arms, leg, back, chest, stomach, face and bikini area. An overall approach to health and wellness is more important in today’s busy society than ever before. When people find gyms that address more than just the fitness aspect of wellness, they will be healthier and happier people, particularly if they make time to treat themselves to some of the spa treatments mentioned above. Divorce is a family issue that needs a family response. It is not something that can be fully managed by a divorce attorney and instead requires that couples do the difficult work of not only participating in their own divorce, but also managing the ways it might affect their children. How divorce can potentially affect children is dependent on a few different factors. The first factor is the age of the children. Younger children may be more likely to blame themselves or wonder if their behavior is what causes their parents to stop loving each other. Younger kids have less of a sense of the nuance of divorce or the many reasons that could lead to it. Younger children may also be affected because they will have to deal with the new norm for longer. Young children may be involved in a custody battle with a child custody lawyer and may have to live in two separate houses, split holidays and learn how to function as a child of parents who live separately. This is difficult on young children, especially if they are unfamiliar with the idea of divorce, do not have friends with divorced parents and/or are not used to living in two households. For teenagers and other older children, they are more likely to have a sense of what divorce is. They likely have friends with divorced parents and have either seen it first hand or talked about it. This may be beneficial in some ways because they will require less explanation, but for some children it may be harder because they will have a vocal opinion on the issue. The other factor is how amicable or volatile the divorce is. An amicable divorce is obviously the best option because it means the parents can still communicate and see one another. This will ensure the kids don’t see a lot of awkwardness, that they are able to go to the same school and that they don’t blame themselves. In some cases, children of amicable divorces are still able to have joint holidays with both parents. On the other hand, volatile splits are harmful to both young and older children. For young children, they will put blame on themselves when hearing their parents fight. After the divorce, they may hear one of both parents saying horrible things about the other, which can taint a young child’s impression of their parents. In addition, it may mean that custody becomes an issue and that a family attorney is needed in order to help the family figure out how to proceed. For older children, volatile divorces may prompt them to “pick a side” particularly if one parent wronged the other. This is common in the case of infidelity, where a child might shun the parent who cheated. This can greatly affect the long term relationship between a child and one of their parents. No matter the age or situation, divorce can negatively affect children or teenagers who are caught in the midst of their parents separation. Knowing this ahead of time is helpful because it will lead to more communication and better family management. Food is a central part of our life and culture. It can improve our mood, give us energy, provide us with health and wellness and just generally bring people together. There is no denying that food is important. In some situations, however, food can really save the day. It may sound silly at first, but if you think about it, food is a really powerful thing. Have you ever had a situation that would be made easier by having food, but perhaps you do not have the means to make any? Here are a few times when meal delivery can make or break a situation. Delivering food for a sick friend or coworker- If you have ever worked in an office where a coworker undergoes surgery or perhaps if you have known someone who has dealt with a medical issue that requires they be on bed rest, you know that food is one of the best things you can provide for them. However, slaving over the stove all day, portioning out meals and then driving over to deliver them are a lot of tasks that likely will not fit in your schedule. If you still want to be helpful, however, you can schedule healthy meal delivery to be delivered to your friend or coworker’s home, all without having to lift a finger. This is a great way to show you care while also being able to keep up with your own obligations as well. Helping out a new mom- New moms are always stressed and barely have any time for themselves, especially not time to eat a good meal. Since mama will be so focused on baby, mama would really benefit from a healthy prepared meal that she can get delivered straight to her door. Whether she is able to chow down while baby is napping or sneak a few bites between cuddle sessions, it is important for moms to get meals full of nutrients to keep them healthy and energetic. Last minute holiday food- Have you ever hosted a holiday and had way more people show up than you expected? Perhaps a cousin who brought extra friends or a group of friends whose plans fell through at the last minute? If you’ve ever dealt with a food shortage at a food-centric event, you know that that is one of the worst things that can happen. Since stores are closed and your oven is packed, what choice do you have? With meal delivery, you will actually be able to round out your menu and feed a few extra hungry mouths at the table. That way, you will feel like your holiday was a success, but without all the stress of figuring out how to stretch your planned meal for 8 into a meal for 14. As you can see, there are so many times when a good meal will lessen the stress of a situation and essentially save the day. Food’s ability to make people feel happy and calm is one that should be harnessed and shared whenever possible. According to recent studies, nearly 40% of men and women will be diagnosed with some type of cancer at some point in there lifetime. This means that most people will know someone who has been diagnosed and has likely undergone treatment such as radiation or chemotherapy in order to cure the cancer and enter remission. While cancer is a battle all on its own, so is the treatment associated with it. For those who choose chemotherapy, they will often deal with symptoms such as general bodily pain, intense fatigue, trouble sleeping, sores in the mouth, intense nausea and stomach problems including diarrhea and vomiting. These are all awful symptoms but many people choose to deal with them because it is worth it to cure their cancer. That does not mean, however, that they do not want relief from these symptoms. Here are a few ways that patients have used to help manage the symptoms of chemotherapy. Adopting a raw, vegan diet- Many people are of the opinion that food and how people nourish themselves is closely tied to health the body’s ability to fight off disease. For this reason, many people choose to follow a raw vegan diet when undergoing cancer treatment because of the many nutrients that can be derived from plant sources such as fruits and vegetables. For many, the addition of more naturally made nutrients into the body helps them feel better and more energetic. 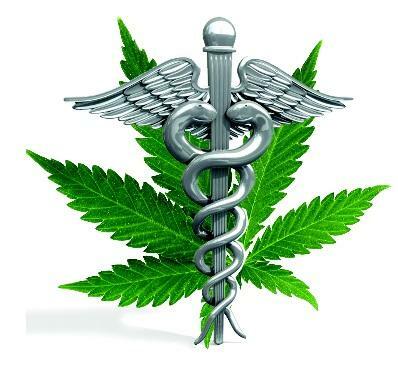 Smoking medical marijuana- Many cancer patients, specifically in states where they can find a medical marijuana doctor, choose to go forward in getting a legal medical marijuana prescription. For numerous patients undergoing chemo, medical marijuana does wonders to decrease nausea, bring back appetite and help cure sleeplessness. All three of these symptoms are difficult to deal with and often wreak havoc on a persons physical, mental and emotional health. When patients are eating meals and sleeping, their loved ones notice that they look better, have more energy and are in better spirits. Places like MedMar Releaf Clinic can help families to find some relief for their symptomatic loved ones. Practicing gentle yoga or meditation- Something that many cancer patients have used to find peace is gentle yoga or meditation. While the body may feel weak, some gentle, floor yoga can help to stretch the muscles, bring breath into the body and promote relaxation. Mediation can also help with sleeplessness as well as promoting a general feeling of calm or control, both of which are important to internally fighting off disease. There are many classes offered for people going through cancer treatments, but if money is a factor, there are many great, free options online as well. Cancer is a scary disease that not only brings struggle, pain and fear by itself, but often forces different types of treatments that have their own set of symptoms and side effects. Being knowledgeable of the ways to treat these side effects will help patients to get through treatment successfully and heal their bodies until they are in remission. Tiny houses are one of the newest most popular accommodations for many people throughout the world. In the United States, the new mindset of minimalist, off-grid living has taken root, specifically because it allows simplification of life and finances. For example, in cities like Denver, rent is increasing at a high rate and fewer and fewer people are able to enter the competitive housing market and purchase a home. Instead, many young people are stuck renting at high prices for much longer than they anticipated, meaning they their dreams of home ownership are often dashed. As an alternative to this, many young people have been building their own tiny houses for as little as $25,000, which gives them freedom from debt and mortgages, but also allows them to travel and live more simply. In order to truly live off-grid and be able to take a tiny house wherever they want, there are a few things that are extremely important to the construction of the home. One of the most important things is solar panel installation which ensures that the homeowners can have access to sustainable, environmentally-friendly energy anywhere and everywhere they go. One of the most consistently attractive qualities about the tiny house community is the overall sustainability of living in a tiny house. Tiny houses produce less waste from an energy perspective and also require the residents to really take stock of what is important to them. There is not a lot of room in a tiny house for superfluous possessions, so it is important for residents to narrow down their items to what they really need to live. Once these items are narrowed down, many people notice that they need far fewer technological items than they thought, making solar power systems even more feasible for the new lifestyle. Many people who have chosen to install solar panels on their homes (whether tiny homes or not) have said that doing so has made them feel like better stewards of the environment and has been the catalyst to help them make other decisions for their home, such as the use of water conserving toilets, composting toilets, starting compost piles, growing their own gardens and more. Sustainability is an important part of many people’s lives in this day and age and by taking steps such as residential solar installation to help reduce each family or individuals carbon or energy footprint in the world, it is more likely that they will look for additional ways to increase the good they are doing for the Earth and for the environment. Tiny houses are a trend that show no sign of becoming less popular. In fact, it would seem that as more and more people become crippled by debt and exorbitant rent, they will turn to solutions like tiny houses to help them find not only financial freedom, but a way to truly make a positive impact on the environment. Harnessing the power of the sun is one of the best ways to do this and serves as a great first step. Why are nature reserves so popular? Whether or not you consider yourself an outdoorsy type, you have likely heard friends, family or coworkers rave about hiking or camping trips they have taken. Lately it seems more and more common to hear people take vacations that are less about lounging on a beach, and more about getting in touch with nature. So why are these kinds of trips so popular? There are a few reasons that seem to stick out. First, today’s society is entirely controlled by technology. It is difficult to do much of anything, professionally or personally, that does not involve a computer, a smart phone or some other piece of technology. Children are learning how to use more advanced technology at younger and younger ages simply because it is so important in their growth and development in today’s world. For this reason, it is extremely important for people to disconnect a bit and get more in touch with nature. Nature can be a calming factor and help people to disengage from the frequent technological stresses of life. For many, not checking texts, email or social media can feel very liberating. Next, more frequent time outdoors is good for the mind and body. Disconnecting from work and technology is always good, like mentioned above, but nature is also a way to appreciate the little things and go back to basics, which helps to calm the mind as well. Those who camp also do more activities such as taking advantage of hiking trails or water sports. This kind of physical activity is good for the body and keeps people healthy and active. Also, time in nature is particularly good for people who want to connect to their artistic sensibilities. Nature often inspires people to read, write, take photographs, paint, draw and more. For people who are looking for a way to unleash their creativity, some time in nature usually helps quite a bit. Finally, time on a camping trip in a nature reserve is also good for connecting to loved ones. Fewer distractions like phones and computers mean more time for conversation, card games, stories and laughter. Families who take the time to go on a trip in the wilderness often say that it does wonders to bring their family together and make them feel closer. That does not mean, however, that one has to have a family in order to enjoy nature. Solo camping and hiking trips are also wonderful for connecting to yourself as well and allowing you to practice some self care and self love. As you can see, there are many wonderful reasons to spend some time in the great outdoors. Getting acquainted with nature will help reduce stress, increase creativity, and boost your mood. Whenever possible, allow yourself and your family some time to rest and recharge outdoors. An appreciation for nature is good for adults and kids alike and will help provide more harmony and balance in your everyday life, even after you return from a camping trip in the great outdoors. It is true that it is more than being brave, but it is also important to celebrate the quality of bravery too. Not everyone has the constitution to be a first responder and be on the scene before anyone else. Often times this puts paramedics in dangerous situations that, in the worst-case scenario, can harm them or even take their life. To willingly walk into these kinds of environments takes a lot of bravery. A strong stomach. It is no secret that paramedics often have to see some very disturbing things from injuries to crime scenes to accidents. There may be blood and other difficult imagery, but for paramedics, this is part of the job. In order to do their job well, they need to be able to handle it. This ability is not present in everyone and in fact, someone without a strong stomach would likely not be able to work as a paramedic. An eye for detail. There is a lot going on when someone is in need of a paramedic and sometimes, it I a matter of life and death. With the stakes so high, an eye for detail is important because it could be the difference of figuring out how to save someone, or perhaps missing an important clue and making the situation worse. Paramedics like those at Windsor EMS are particularly skilled in making sure they don’t miss anything. A calm demeanor. Similar to the above, injuries often cause hysteria. If not from the patient, then likely from their friends or family. It may be extremely hectic but a paramedic cannot let that distract them. Instead, they must be calm and level-headed so that they can do their work efficiently and effectively. Again, the stakes are high and maintaining a calm demeanor will help mitigate errors. A good memory. Medical professionals need to know science and they need to know the human body. These are both huge subjects with lots of different aspects and subtopics. There is a lot of studying that goes into working as a paramedic, but the work doesn’t end after the schooling is over. Instead, these skills and facts must be retained so that they can effectively treat patients no matter the situation or injury. 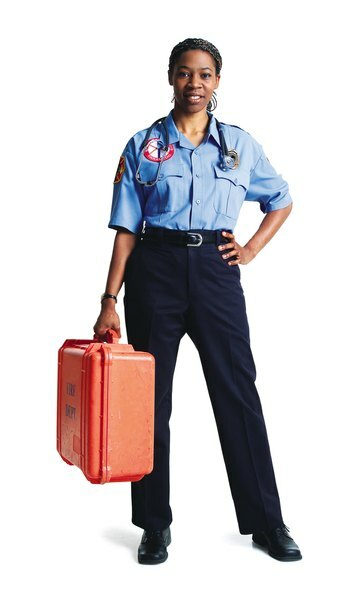 While it is absolutely true that those who do EMS work are brave, they also have many other admirable qualities that should be celebrated and appreciated. You are familiar with the situation: you are dealing with an issue with your computer or other online device and you cannot troubleshoot it yourself. Perhaps you have tried the standard fixes which might include turning the device off and then turning it on again to see if the problem corrects itself during a restart. 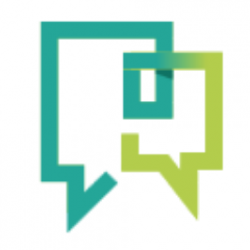 Perhaps you have tried a little online searching for people who have dealt with similar problems and have come up with a solution. Perhaps you have called friends to find out if they have ever experienced the issue you are experiencing. After you have exhausted what you feel like might be all your options, it is generally time to call an IT solutions specialist. Some people have a certain amount of anxiety about doing this because they do not feel skilled enough to talk to a specialist or perhaps they worry that it will take too long or be too confusing. Here are a few tips that will help make sure that your discussion with an outsource IT person is pleasant and productive. Be kind. First and foremost, remember that this person is just that: a person. They have feelings and personalities and when it comes down to it, they just want to do their jobs and do them well. If you start the conversation in a kind way, chances are that it will be returned with kindness. Many times, IT specialists deal with angry and rude people, making it very difficult for them to want to help. If you are kind from the beginning, it will help create a rapport and make the specialist more invested in your situation. Try to calm down before calling. If you are worked up over a frustrating issue, do not immediately call. Instead, take a moment or two to take a few breaths, calm down and gather your thoughts. If you are too frustrated, chances are you will not explain the problem well, not to mention, you may come off as rude or disrespectful, which will start the conversation off on a bad foot. Be as clear as possible. For a network security specialist to truly solve your issue, they need to be clear about how you got to where you are. Try to be as clear as possible about what you are seeing, hearing and experiencing. Even the smallest detail might give them a clue as to what the problem is and how to solve it. If you are not sure what kinds of details to give, ask. Specialists will know what kinds of clues they might be looking for. Be patient. If you are working a problem out over the phone, remember that they cannot see what you are seeing, so it may take a bit longer to help them understand your issue or get oriented with what you might be experiencing. Once the specialist has a generally good picture of what you are dealing with, they will be more easily able to help you. If you follow some of these tips, you are more likely to have your issue solved quickly and efficiently. Eye health is an extremely important part of overall health and wellness. It is important to take good care of your eyes by having them regularly checked by an eye doctor, doing your best not to spend too much time at a screen and wearing eye protection like sunglasses when necessary. Some issues, however, can arise even if you are taking good care of your eyes. For example, if you have ever gotten an eye injury whether it was hit, poked or scratched, you may end up with scarring on your cornea. If you end up with scarring on your cornea, this can sometimes negatively affect your vision. This is because the cornea is the part of the eye that refracts light and allows the eye to focus. When this is damaged, you may experience blurred or altered vision, especially if the scarring is thick. Another way this can happen is through an eye infection, particularly of the cornea. The cornea is the clear, top layer of the eye and it is also responsible for keeping out dirt and debris. 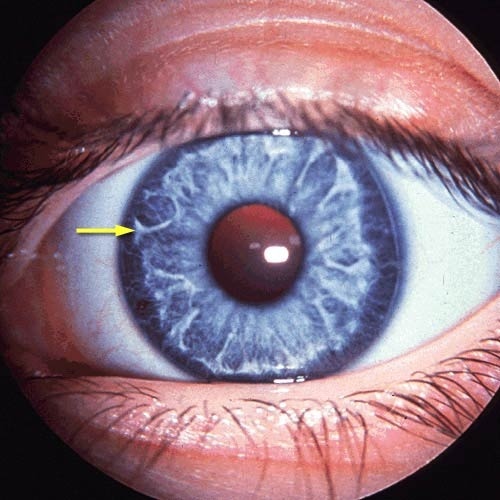 If the cornea is damaged and debris and dirt can enter the eye, it can cause an infection. It is difficult to treat an infection there because the cornea does not have any blood vessels for which to fight infection. Because of this, an infection can cause a lot of damage to the eye and make seeing particularly difficult. If you have had either of these issues and are experiencing trouble seeing, you may be a good candidate for cornea surgery. In cornea surgery, corneal tissue can be replaced with donor tissue in order to help get vision back. Because the cornea is such a small amount of tissue and there is no blood flow to the cornea, the chance of tissue rejection is much smaller in comparison to other types of donor tissue surgery. There are however, higher risk surgeries called penetrating keratoplasty and those need to be done if both layers of the cornea are damaged. This kind of surgery still has a high success rate, but also a much longer recovery time. This is because the entire cornea needs to be replaced. Stitches must be in place for a few months and sometimes vision may not improve until about 12 months. This may seem a bit frightening, but in the case of cornea treatment, many advancements have been made. Statistically speaking, eye treatments such as cornea or cataract surgery are generally very successful and can help many patients gain back sight. One of the most important things to remember is that the faster you are able to address an eye injury or infection, the better. The longer you let an injury or infection sit, the more likely it will cause more damage to your eye, thus requiring more invasive surgical options. As soon as you sustain an eye injury or suspect an infection, it is a good idea to make an appointment with an eye doctor right away to assess the damage and your options.